Getting your grass cut for the first time after sowing or mowing your grass correctly is the corner stone of your grass health. From our video you can see when the first mow should happen and how you can do it easily to support great lawn growth. We let you know, when and how to mow! Learn how to mow - below! 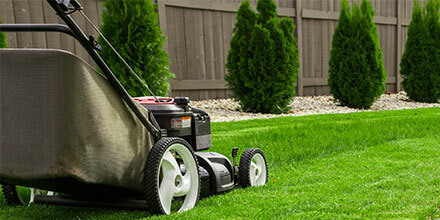 Check your mower is safe and that your blades are sharp. Grass should be at least 9cm/3.5 inches before cutting. Set your mower blade to the highest setting. Too short a cut weakens the grass. Handy Tip: Remember to never remove more than a third of the blade height (and never mow wet grass! ).